WEST LAFAYETTE, Ind. — What if the brain could detect its own disease? Researchers have been trying to create a material that “thinks” like the brain does, which would be more sensitive to early signs of neurological diseases such as Parkinson’s. The lingua franca is ionic currents, which help the brain perform a particular reaction, needed for something as basic as sending a signal to breathe. Detecting ions means also detecting the concentration of a molecule, which serves as an indicator of the brain’s health. In a study published in Nature Communications, researchers demonstrate the ability of a quantum material to automatically receive hydrogen when placed beneath an animal model’s brain slice. Quantum means that the material has electronic properties that both can’t be explained by classical physics, and that give it a unique edge over other materials used in electronics, such as silicon. The edge, in this case, is strong, “correlated” electrons that make the material extra sensitive and extra tunable. “The goal is to bridge the gap between how electronics think, which is via electrons, and how the brain thinks, which is via ions. This material helped us find a potential bridge,” said Hai-Tian Zhang, a Gilbreth postdoctoral fellow in Purdue’s College of Engineering and first author on the paper. In the long run, this material might even bring the ability to “download” your brain, the researchers say. “Imagine putting an electronic device in the brain, so that when natural brain functions start deteriorating, a person could still retrieve memories from that device,” said Shriram Ramanathan, a Purdue professor of materials engineering whose lab specializes in developing brain-inspired technology. 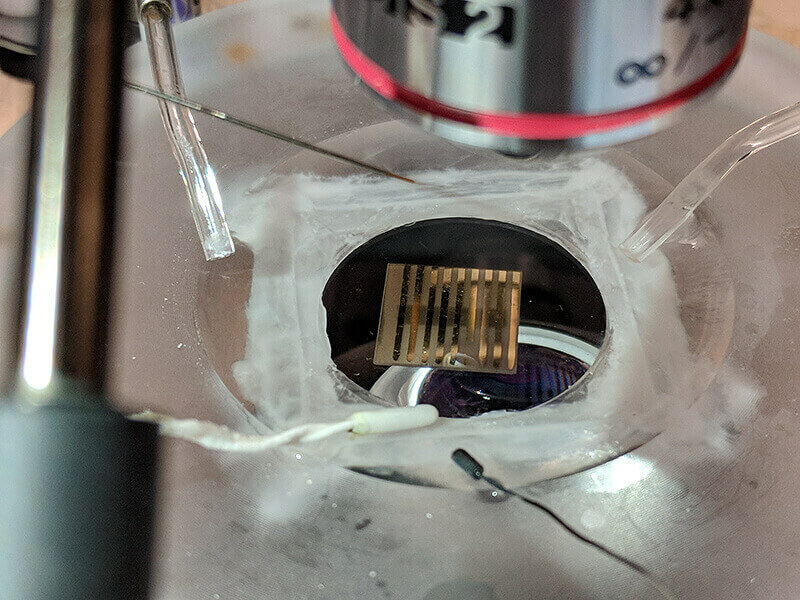 “We can confidently say that this material is a potential pathway to building a computing device that would store and transfer memories,” he said. The researchers tested this material on two molecules: Glucose, a sugar essential for energy production, and dopamine, a chemical messenger that regulates movement, emotional responses and memory. Because dopamine amounts are typically low in the brain, and even lower for people with Parkinson’s disease, detecting this chemical has been notoriously difficult. But detecting dopamine levels early would mean sooner treatment of the disease. “This quantum material is about nine times more sensitive to dopamine than methods that we use currently in animal models,” said Alexander Chubykin, an assistant professor of biological sciences in the Purdue Institute for Integrative Neuroscience, based in Discovery Park. The quantum material owes its sensitivity to strong interactions between so-called “correlated electrons.” The researchers first found that when they placed the material in contact with glucose molecules, the oxides would spontaneously grab hydrogen from the glucose via an enzyme. The same happened with dopamine released from a mouse brain slice. The strong affinity to hydrogen, as shown when researchers at Argonne National Laboratory created simulations of the experiments, allowed the material to extract atoms on its own – without a power source. The researchers also say that this material could sense the atoms of a range of molecules, beyond just glucose and dopamine. The next step is creating a way for the material to “talk back” to the brain. The work was supported by multiple entities, including Gilbreth Fellowship by the College of Engineering at Purdue University, the National Science Foundation, the Air Force Office for Scientific Research, the National Institute of Mental Health, the Office of Naval Research and the U.S. Department of Energy Office of Science. 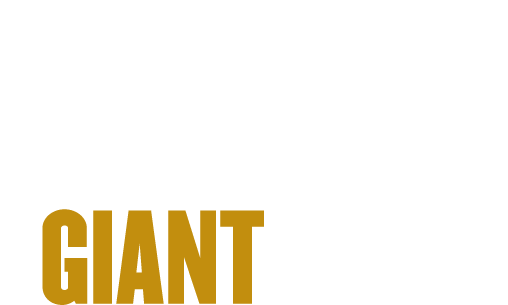 This research also aligns with Purdue's Giant Leaps celebration, acknowledging the university’s global advancements made in AI and health as part of Purdue’s 150th anniversary. This is one of the four themes of the yearlong celebration’s Ideas Festival, designed to showcase Purdue as an intellectual center solving real-world issues. Note to Journalists: The paper is available open-access at https://www.nature.com/articles/s41467-019-09660-6. 5Department of Biological Sciences, Purdue Institute for Integrative Neuroscience, Purdue University, West Lafayette, Indiana 47907, USA. 7School of Electrical and Computer Engineering, Purdue University, West Lafayette, Indiana 47907, USA. Functional interfaces between electronics and biological matter are essential to diverse fields including health sciences and bio-engineering. Here, we report the discovery of spontaneous (no external energy input) hydrogen transfer from biological glucose reactions into SmNiO3, an archetypal perovskite quantum material. The enzymatic oxidation of glucose is monitored down to ~ 5x10-16 M concentration via hydrogen transfer to the nickelate lattice. The hydrogen atoms donate electrons to the Ni d orbital and induce electron localization through strong electron correlations. By enzyme specific modification, spontaneous transfer of hydrogen from the neurotransmitter dopamine can be monitored in physiological media. We then directly interface an acute mouse brain slice onto the nickelate devices and demonstrate measurement of neurotransmitter release upon electrical stimulation of the striatum region. These results open up avenues for use of emergent physics present in quantum materials in trace detection and conveyance of bio-matter, bio-chemical sciences, and brain-machine interfaces.